Many newspapers which are located (geographically) close to where an historic event happened tend to have the largest headlines. The “WAR ! ” issue of the Honolulu Star-Bulletin reporting the bombing of Pearl Harbor is a good example. 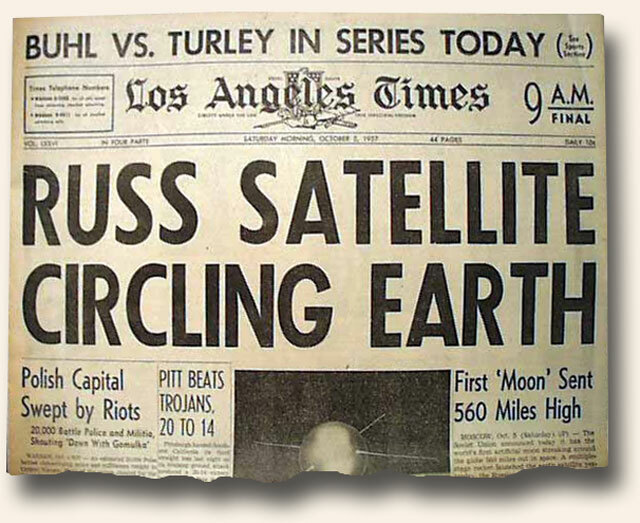 When the Apollo 11 astronauts returned home, all newspapers reported the event. 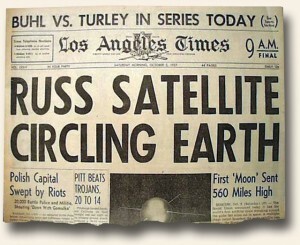 But where would you expect the biggest headline on Neil Armstrong’s return? His hometown: Wapakoneta, Ohio. The photo shows the huge headline of the “Wapakoneta Daily News” when their favorite son returned home. It is certainly one of the largest headlines of the post-World War II era.